Imagine a trail of destruction more than half a mile wide stretching from London to Cardiff. That's how much orangutan habitat has been destroyed by Oreo's palm oil suppliers in the last two years. 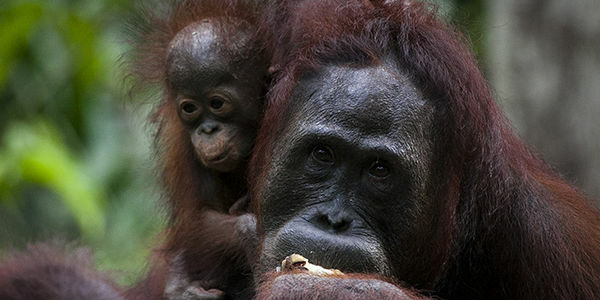 To make things worse the makers of Oreo continue to buy palm oil from Wilmar - the dirtiest palm oil giant in the world - for the millions of Oreo cookies that are produced every day. Wilmar is the biggest threat to Indonesian rainforests, Indigenous People that rely on them for survival and the orangutans that live there. If Oreo stop buying palm oil from rainforest destroyers, like Wilmar, the makers of products like Colgate toothpaste and Kit Kat will feel the pressure to do the same. And the entire industry will be forced to change.